Is Shrimp Safe to Eat? Shrimp is the most popular American seafood. But have you ever given any thought as to how shrimp is farmed or caught? Not all shrimp are the same. Do you want to know what kind of shrimp to eat and where it came from? 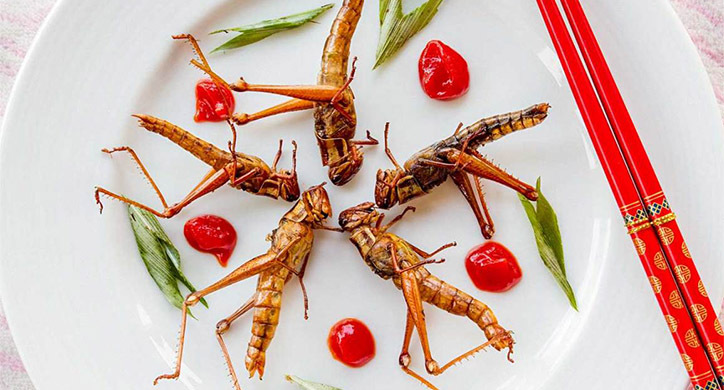 Thanks to his best friend Bubba, Forrest Gump made his fortune on shrimp. He certainly isn’t the only shrimp fan. Shrimp are a delicious and versatile fish and even more popular than the omega-3 filled salmon and tuna. The average American consumes 92 shrimp per year. Whether you choose shrimp cocktail, grilled shrimp skewers, or even shrimp scampi, shrimp dishes can offer a nutritious, low-calorie protein source that also provides a significant amount of selenium, vitamin B1, and copper. Where is our shrimp coming from? 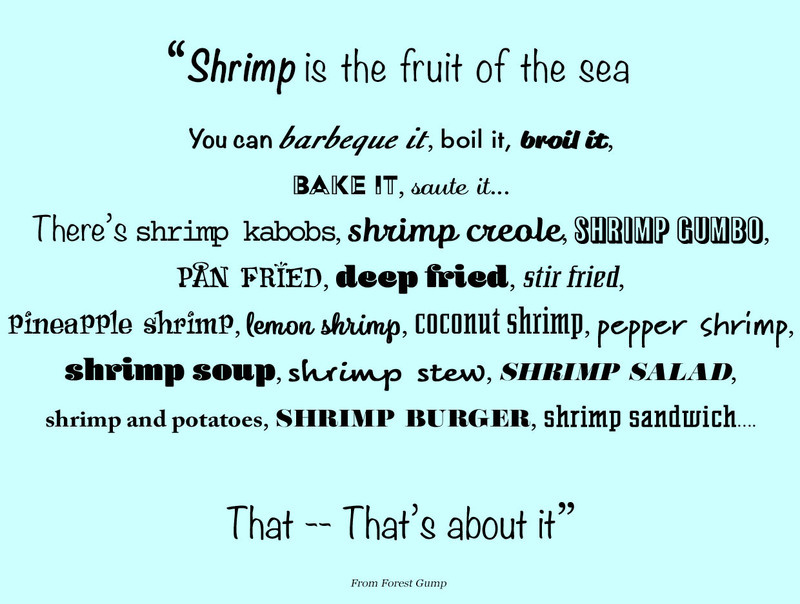 Shrimp is farmed, fished, and shipped all over the world. The United States imports close to 90% of all shrimp. A little more than half (roughly 55%) are farmed and the remaining are wild-caught by shrimp trawlers. Despite its popularity, sustainably grown shrimp that are clean, good for you, and good for the environment are hard to find. 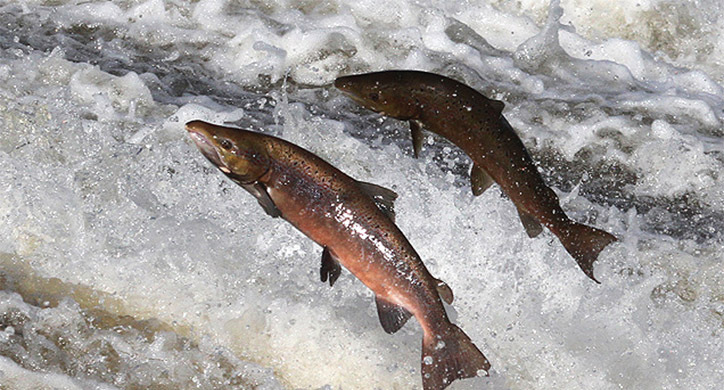 Aquaculture is a relatively new and unregulated industry compared to the other of proteins of poultry, beef, and pork. The business of shrimp is challenged because it is fraught with sustainability issues such as environmental, employee welfare, and food safety. However, the shrimp industry is evolving to establish best farming and fishing practices. The future focus from governments, corporations, shrimp farmers, shrimp feed manufacturers, and consumers is to consider and follow best sustainable practices. Currently, not all farms and not all governments have the same approach to shrimp farming practices – some are better than others. We have outlined the issues below to help clarify why it is important to choose shrimp that is grown or harvested using best farming practices. This is an instance where the consumer can demand sustainable shrimp by asking where and how the shrimp are caught or farmed. Consumers can also look at the packaging labels to determine if the shrimp is caught or farmed sustainably. When you see shrimp in the wild many species are quite colorful, with their tentacles waving in the water as they sit on their spindly legs tucked in-between the coral waiting for a tasty morsel to swim by. While wild shrimp swim mostly in warm ocean coastal waters, about 25% can be found in fresh rivers and some are even found in the Arctic Ocean. All shrimp are bottom feeders, living as deep as 16,000 feet. This means they sift through the sand and eat everything from algae, plankton, small fish, and other dead organisms. They are an important part of the aquatic ecosystem. Shrimp are food for large fish like dolphins, whales, and even other crustaceans, like crabs. 80% of the shrimp harvested in the US comes from the Gulf of Mexico and South Atlantic region. The most common varieties are brown, pink and white shrimp. 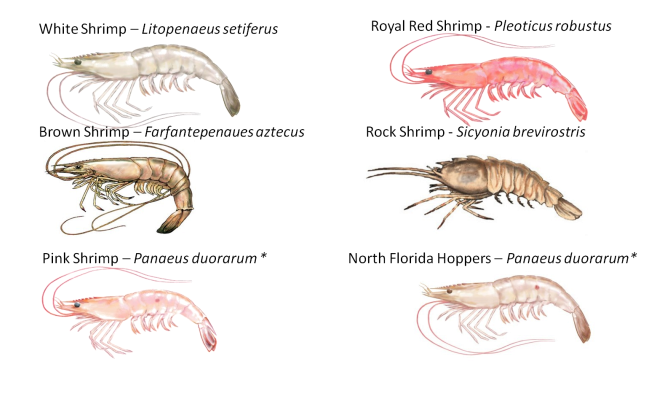 There are more than 1,900 species of shrimp, but less than 20 are important for commercial purposes. The environmental concerns with wild shrimp revolve around the fishing method. 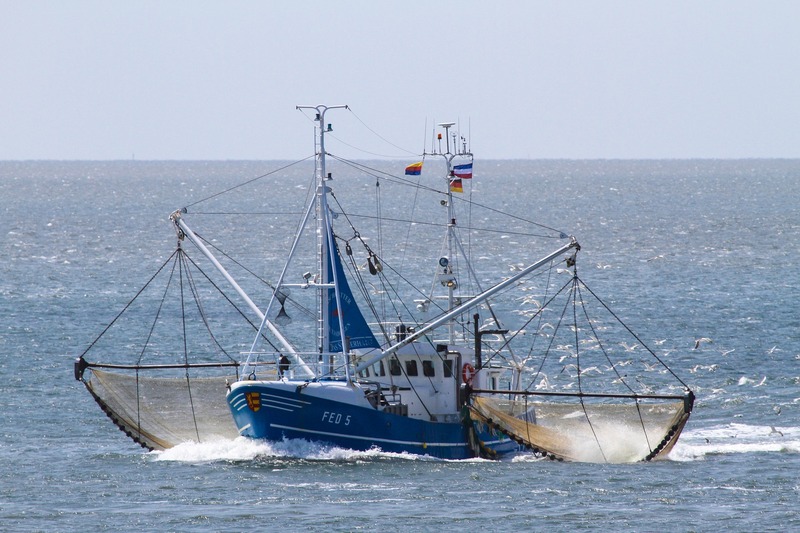 Fishing trawlers use large weighted nets that drag along the ocean floor and collect all the available shrimp. Unfortunately, other species such as red snappers, sea turtles and other juvenile fish are the by-catch without a feasible escape route. Furthermore, dragging weights along the ocean floor is damaging to the coral beds which destroys the habitat for smaller fish. 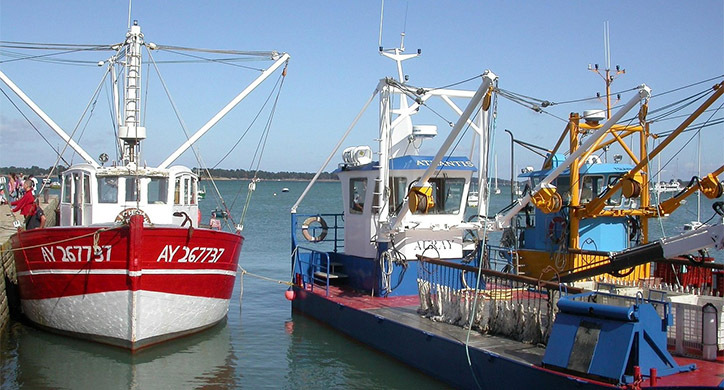 Fortunately, in the United States, all shrimp trawlers are required to have holes in their nets, which let the other sea life out of the net before it is brought to the surface. 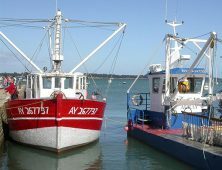 In parts of the Gulf, the trawlers consider the coral beds and only catch shrimp on a sandy sea floor, thus not disturbing other sea animals or their habitat. Unfortunately, shrimp trawling in other parts of the world are not as regulated. In 2015, the estimated production of farmed shrimp was about two million tons. The majority of shrimp farms are located in China (41%), Indonesia (13%), Vietnam and India (8%). USDA data shows that the United States imports most of our shrimp from India (23%), Indonesia (17%), Thailand (16%), Ecuador (14%), and Vietnam (10%). 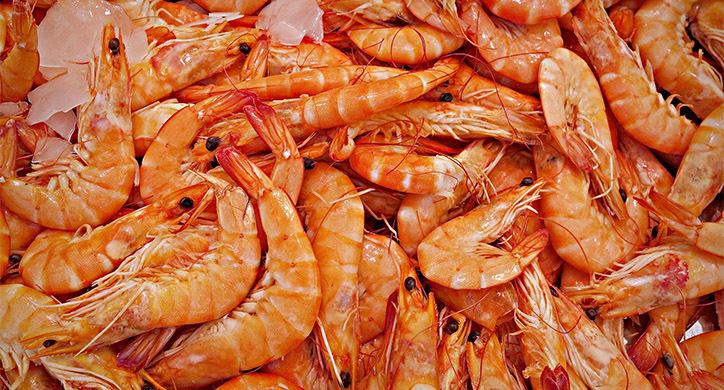 Some farmed shrimp stationed along the coastal waters can cause environmental damage. 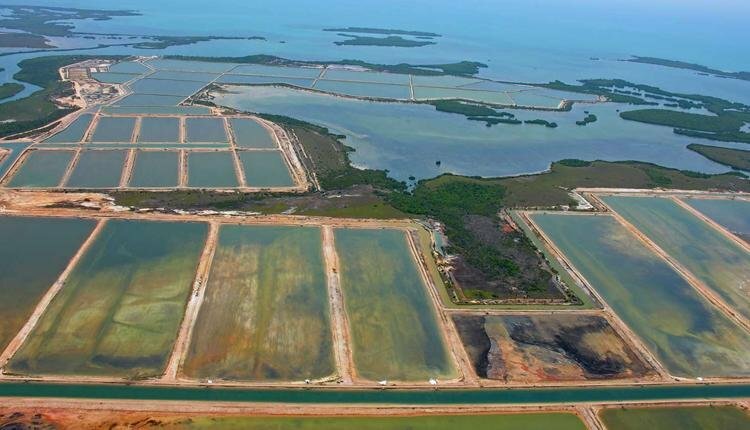 The “farm” in this case is really just a pond of up to about 250 acres which is cut into the mangrove forests. These forests are a predominant ecological system that supports the diverse coastal sea life and act as a buffer for the land against storms. Shrimp farming practices can result in dirty water due to fish waste, overfeeding, antibiotics, chemical disinfectants, and overcrowding. Once the harvest occurs, all that dirty water goes right into the ocean and is harmful to marine life such as manatees, lobsters, and every other living thing that swims or lives nearby. In order to maximize shrimp output, farmers overstock their ponds and can overfeed their shrimp-stock. There can be as many as 150 shrimp in the space of an average size TV rather than the recommended 60-80 shrimp in a cubic yard. Another consequence of the dirty water is that the fresh groundwater can be polluted unless the ponds are lined with heavy duty plastics. The salt water in the ponds can leach into the fresh groundwater, hurting the communities who live in the area. Overcrowding makes the shrimp very vulnerable to deadly shrimp diseases such as the white spot syndrome virus and early mortality syndrome. In 2012 and 2013, early mortality syndrome affected shrimp production in China, Thailand, and Malaysia. Antibiotics are heavily used to help keep the shrimp healthy. The FDA recognizes this dependence on antibiotics and has turned away 30% more shrimp from India due to illegal antibiotic residues. What happens once the shrimp are harvested? Once these farmed shrimp are harvested, they are transferred to a processing plant where they are either cleaned, beheaded, breaded, canned, shelled, and/or packaged. Each processing plant has their specialty, and of course, some processing facilities are cleaner and better than others. If gloves are not worn or proper precautions are not taken, shrimp can carry diseases such as staph infections and food poisoning. Finally, some facilities in Asia, Thailand specifically, have been targeted with adult and child slave labor to peel the shrimp. They are known for forcing employees to stand for 16 hours without much of a break and with little opportunity to escape. Not only is this illegal and incredibly dangerous for the employee, but it also compromises the food safety of the shrimp that is being packaged. The majority of shrimp farming is loosely regulated and this just may dissuade you from ever cooking coconut sautéed shrimp forever. But that does not mean that ALL shrimp are poorly managed. In 2006, the World Wildlife Fund, the FAO, the Network of Aquaculture Centre’s in Asia-Pacific, the World Bank, and the United Nations Environmental Program all recognized that shrimp farming needed stronger guidelines. These organizations established a set of eight principles that are recommended and encouraged for shrimp farmers around the world. These standards take environmental sustainability, food safety, feed management, and social responsibility into consideration. 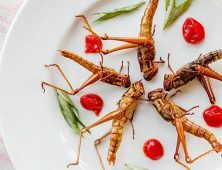 Ecuador, Belize, United States, and South American countries have also recognized that consumers and buyers alike are searching for more transparency in their food supply. They are regulating food safety, employee welfare, and environmental standards on their farms as well as incorporating modern technology in their farming practices. The World Wildlife Fund also works closely with shrimp farmers in Thailand to eliminate mangrove destruction, pollution, and illegal fishing and labor practices. Innovation is also taking hold in the United States. Shrimp farmers in states like Indiana, Wisconsin, and Iowa have taken the food safety and environmental standards to heart. They own huge closed recirculating aquaculture systems contained indoor tanks which can manage the environmental issues, control the water temperature and quality, and have no interaction with the wild species. This undertaking is not for the faint of heart. The start-up costs are large and the heating bills are high. There is even a risk of losing an entire tank if the farmer doesn’t get the water salinity correct. But the payoffs are big as shrimp can be easier and cheaper to feed than cattle, pigs, or chickens. Finally, the demand for sustainable shrimp is high. Providing healthy shrimp food is an integral component for a healthy harvest. Some shrimp farmers skimp on the quality of the product. Those that use best practices feed their shrimp fishmeal, cereal grains, and soybean meal. At this stage, astute farmers will introduce probiotics. While they are not a silver bullet, probiotics in combination with multiple strategies can keep shrimp healthy as well. How do you know what shrimp to buy? Third-party certifications below can help you quickly discern which shrimp follow sustainable standards. You can also check out the Monterey Bay Aquarium Seafood Watch for information on specific species. Marine Stewardship Council: Indicates that wild shrimp are caught using sustainable fishing practices. 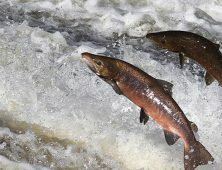 That can include outfitting nets with devices that allow other animals to escape. Aquaculture Stewardship Council: Indicates shrimp are raised without antibiotics and according to guidelines that protect the environment. This label also ensures that shrimp farms do not use forced labor. However, the guidelines permit the use of certain chemicals, including some pesticides, and don’t limit the number of shrimp in the pond. Naturland: These are Monterey Bay Aquarium standards for Organic Shrimp. Indicates that shrimp are farmed following guidelines that prohibit over-stocking of shrimp ponds and the use of chemicals, including antibiotics, pesticides, and disinfectants. Shrimp are fed food made of sustainably caught fish meal, and farms do not use forced labor. 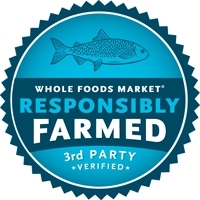 Whole Foods Market Responsibly Farmed: Certifies that shrimp are raised in conditions that protect the environment, without antibiotics, and with limited use of chemicals. But there’s no limit on the density of shrimp in ponds. This label is found only at Whole Foods Market stores.